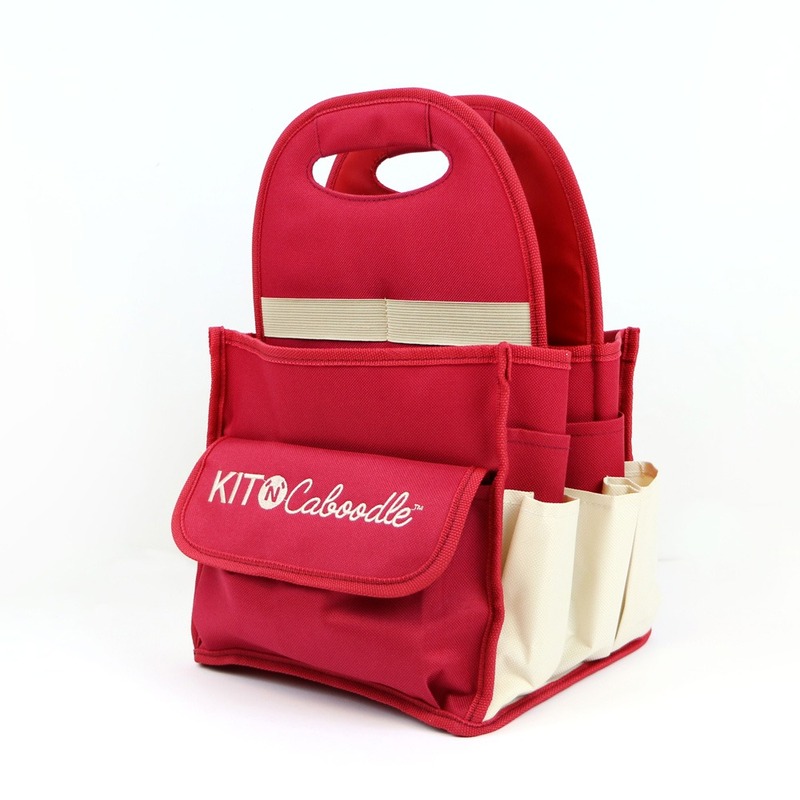 Keep organised with this handy craft Tote Bag from Kit ‘N’ Caboodle. Designed with easy, tidy storage in mind, it features 1 external zip pocket to one side, and 1 Velcro-fasten pocket to the other. It also boasts large pockets for easy accessibility and different styled and sized internal pockets to store pokey tools, mini trimmers, glue applicators, and so much more. This must-have tote is easy to transport and sturdy – the perfect solution to your transport and storage needs!